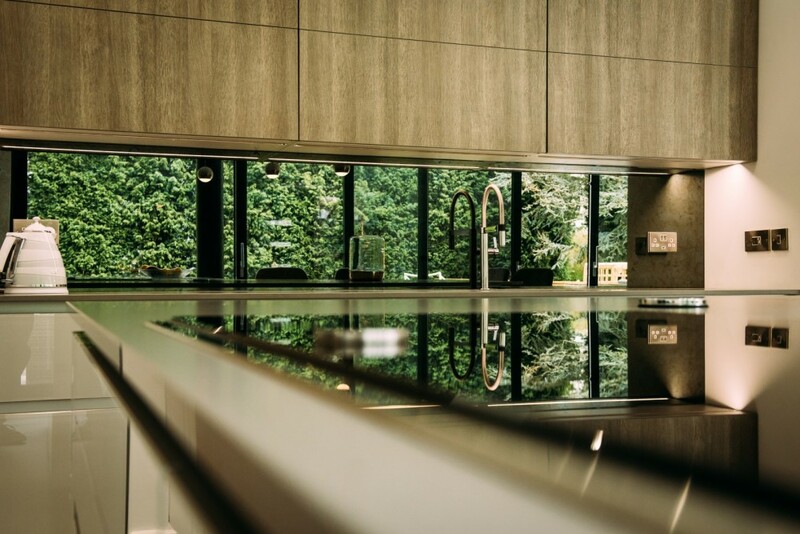 A stunning kitchen in a stunning house! 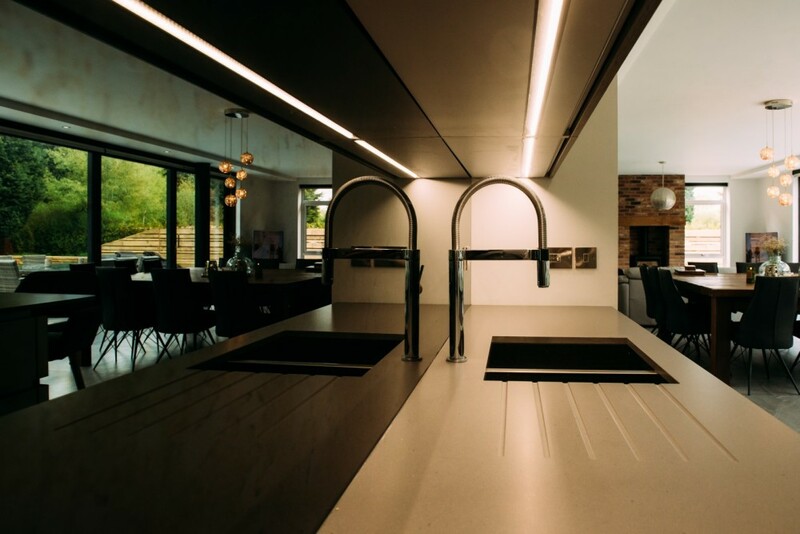 When a local builder approached us about his own house we knew we had to come up with something a bit different! 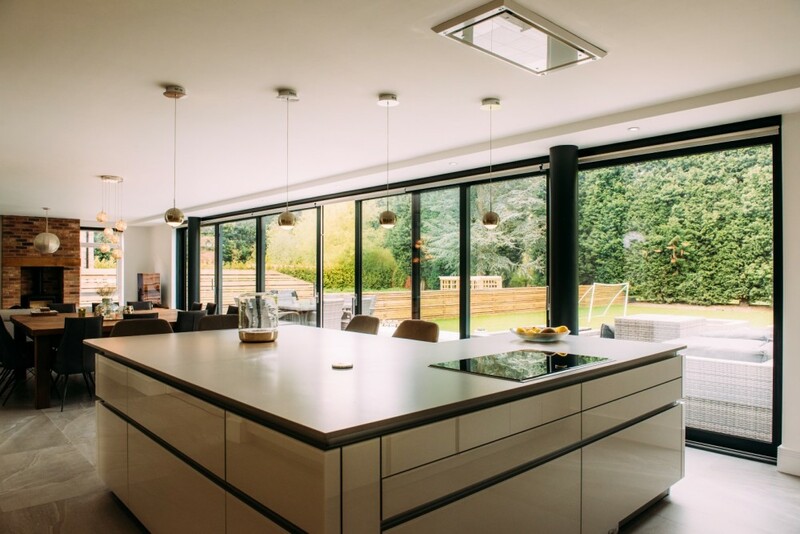 A large open space incorporating kitchen, dining and living space - the space had to flow and work as one. 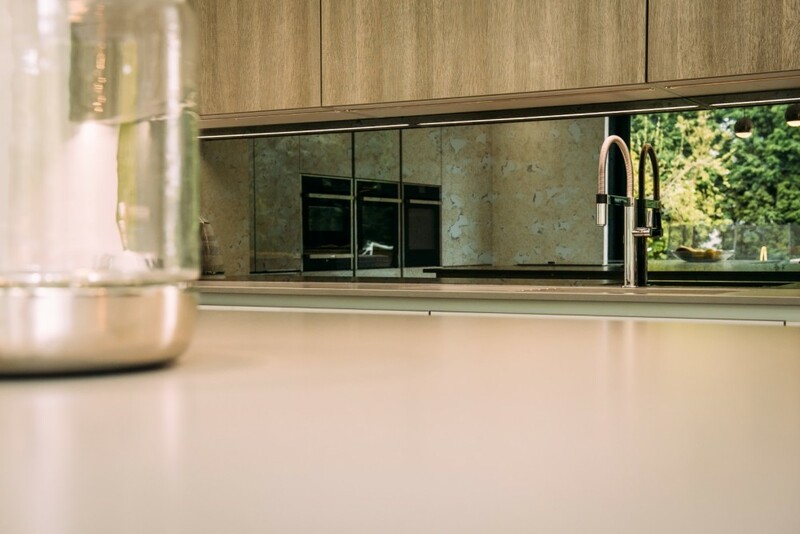 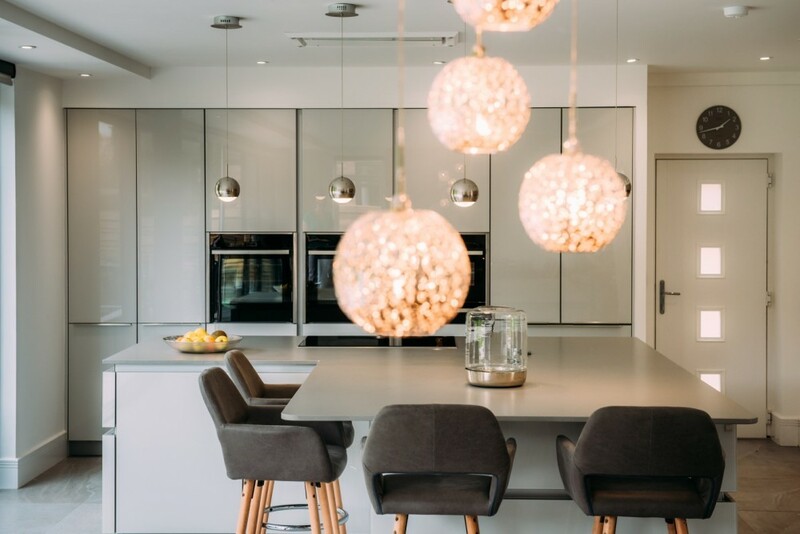 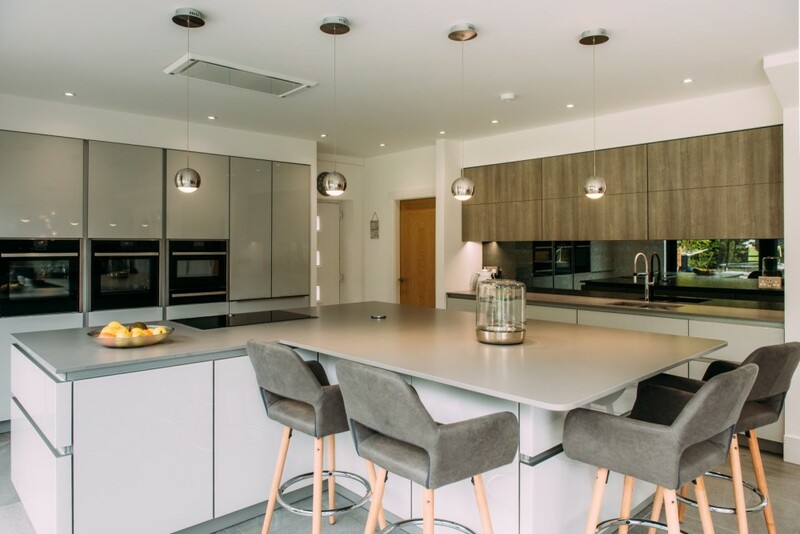 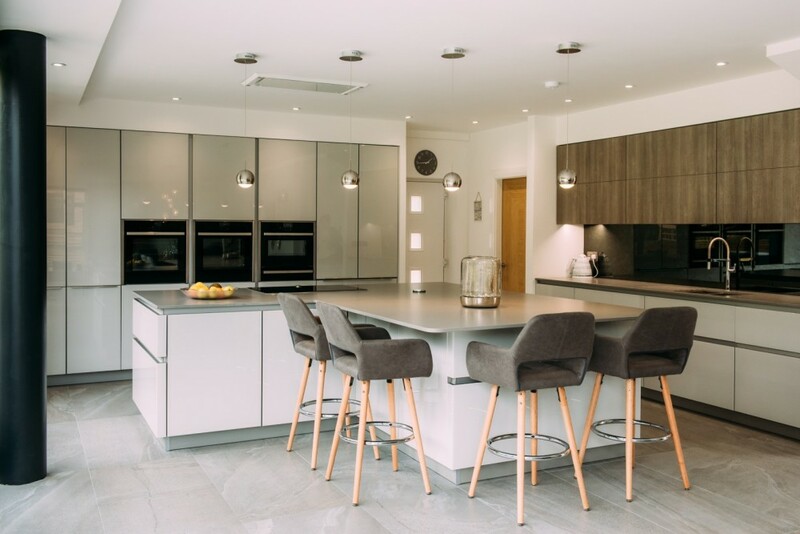 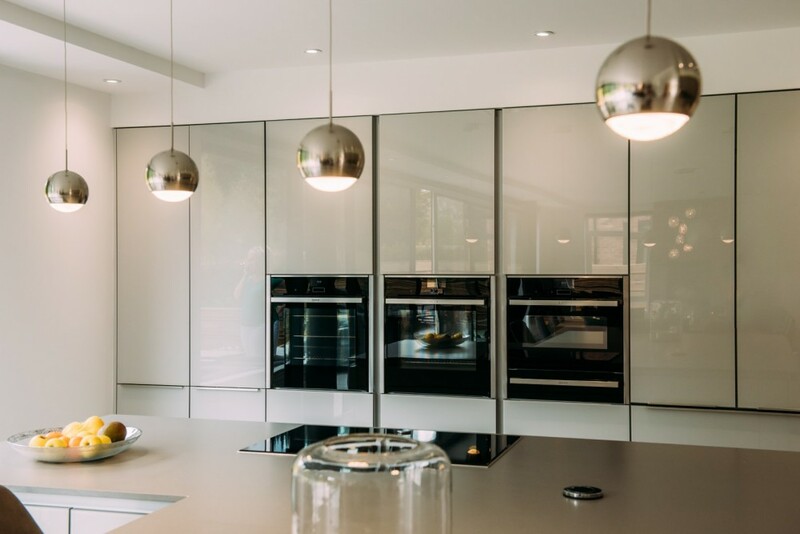 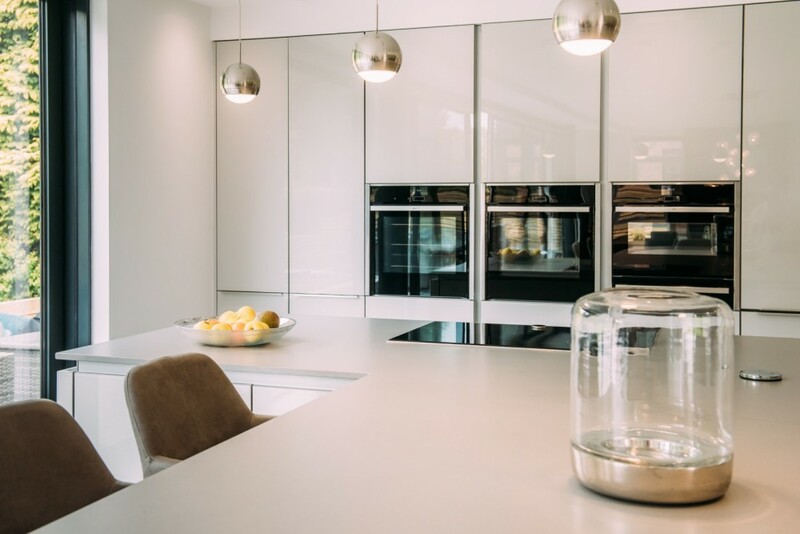 We opted for Leicht furniture in Gloss Glass Platinum with Stone Oak teamed with Caesarstone worktops in Sleek Concrete and a bank of NEFF appliances. 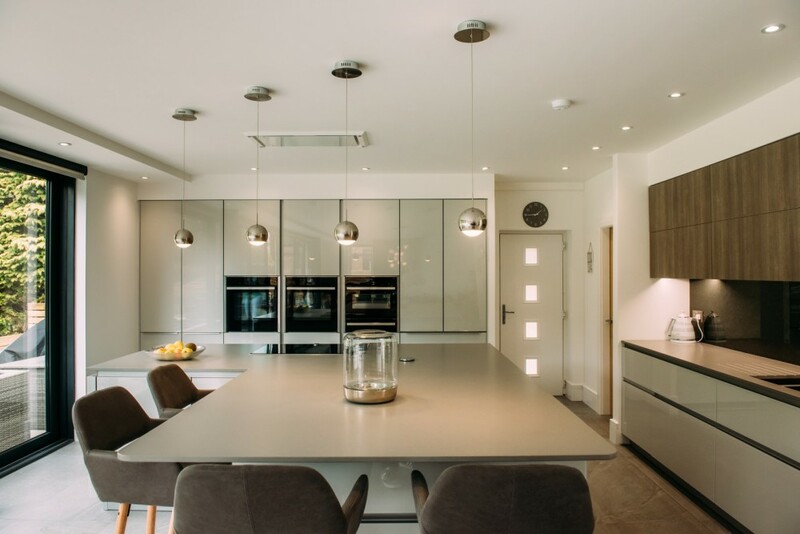 The colours and tones blend seamlessly into the rest of the room's interiors and a touch of drama is created by the lighting and the antique-effect mirrored splashbacks. 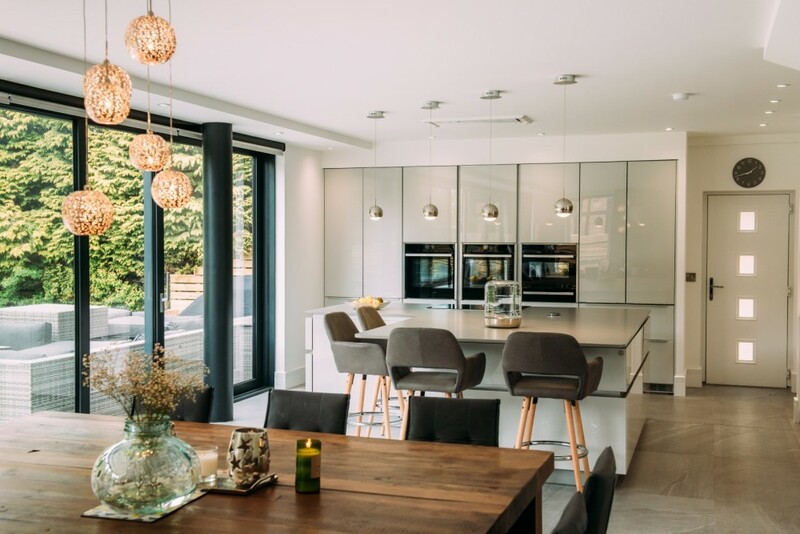 The L shaped island is the true feature of this kitchen and allows plenty of seating for a large, sociable family with enviable views out onto a terrace and gardens.